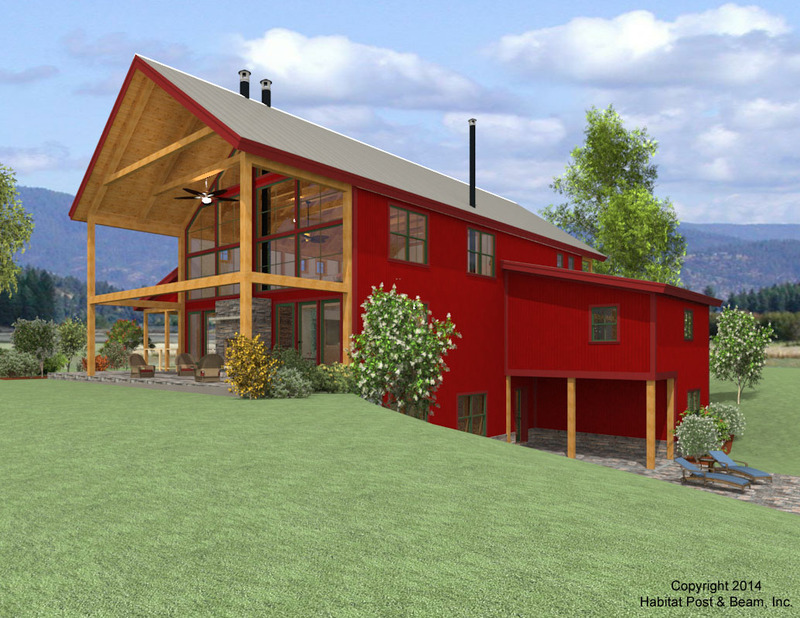 This is a custom-designed, barn-inspired home, and includes plenty of entertaining extras. 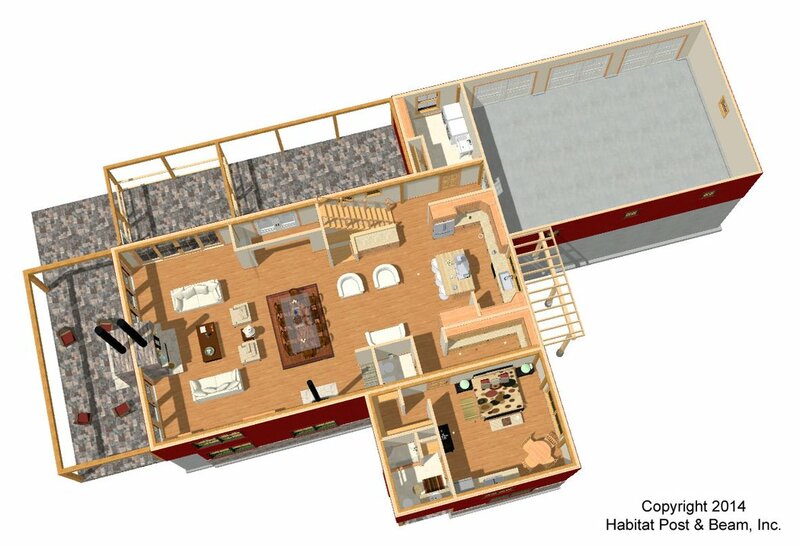 The north section of the main level has a central kitchen with a pantry, a sitting area with stairs to the upper level, and a laundry room by the garage entry. A private bedroom and bath are in their own wing on the east side. The south end has a large dining room with a wood stove, and a generous living area with a fireplace. Upstairs houses the master bedroom suite and an open multi-purpose loft space that looks down onto the living spaces below; it is currently designed as an office and exercise room. 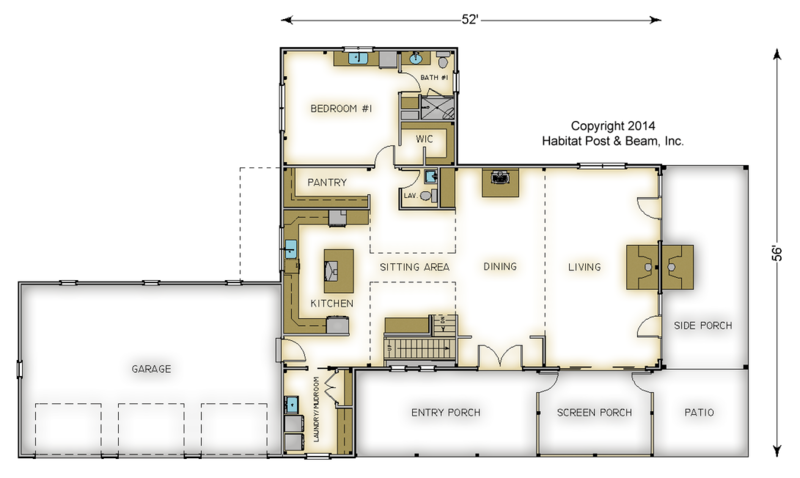 The walkout lower level has three additional bedrooms, two bathrooms, and a large family/media room. 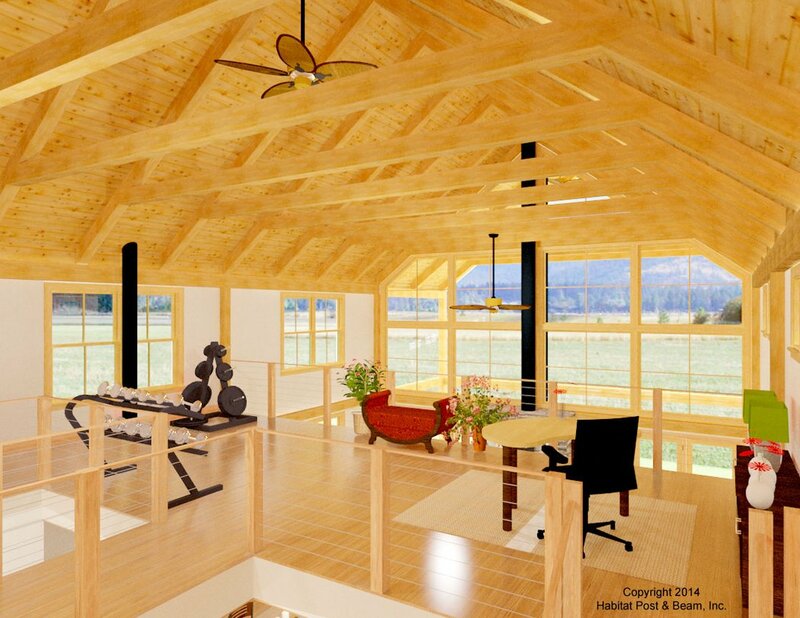 Two additional window-free rooms will be used for a sauna and a home theater. Package Price: $291,500 as specified below (from $239,500 to $306,500 depending on framing options). The standard price includes our Full Exposure Wall System, conventional truss mid-floor framing for open span, or Plaster and Beam or Beamed Mid-Floor System (same package price) if post supports added, our Beamed Roof System over the upper level, our Liner Roof System over the lower bedroom, and our Plaster and Accent Beam Roof System over the laundry/mudroom. The entry and screen porches are our Liner Porch System and the side porch is our Beamed Porch System.